When one of the kids goes missing they search the area, finding a nest with ravenous creatures that move very fast and bend light to appear invisible. But the creatures aren't the only danger. One of Kris's friends gets black goo on her and becomes infected with and obsidious interdimensional spore. 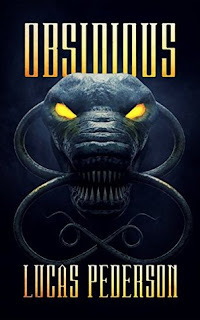 As a covert military base sends out units to neutralize the interdimensional threat, Kris, her son, the kids, and friends fight to survive against an enemy ripped from a loved one that will stop at nothing to infect them and overrun our world with its offspring. Kris battles the ultimate nightmare. One that refuses to end and might ultimately destroy her and the entire human race. Obsidious has been a great book to read. This story had me so enthralled that I couldn't put it down. Infact as I was reading it, it felt as though I was watching it on a bigscreen. I felt like I could relate to parts of the book, mainly in the beginning. For example, the relationship Kris has with her son, just seemed like the same way my son and I enter act to each other. Overall this was a very well written book and I truly hope that Mr.Pederson continues this story into another book. 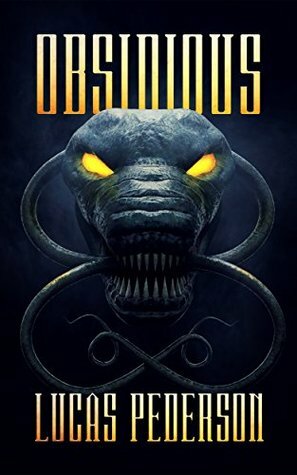 I would definitely recommend Obsidious to anyone who is into young adult or science fiction books and wants a quick, great read. Thank you Mr. Pederson for such a fantastic read.